Present coupon at time of service. Valid for first time customers only. Cannot be combined with any other offers or discounts. Great service and very friendly. I have been bringing my cars here for over 30 years and have always left happy. The experience and honesty of this shop is second to none! If you're having car problems or you're unhappy with your current shop check these guys out because I'm sure they can fix it!!! Where Getting Older, Means Getting Better! We genuinely care about the safety of you and your family and we are committed to providing you quality, affordable service for your vehicles. This is why we have been serving Connecticut for over 35 years. It doesn't matter if you drive a foreign or domestic vehicle, we have an expert technician who can fix your problem. 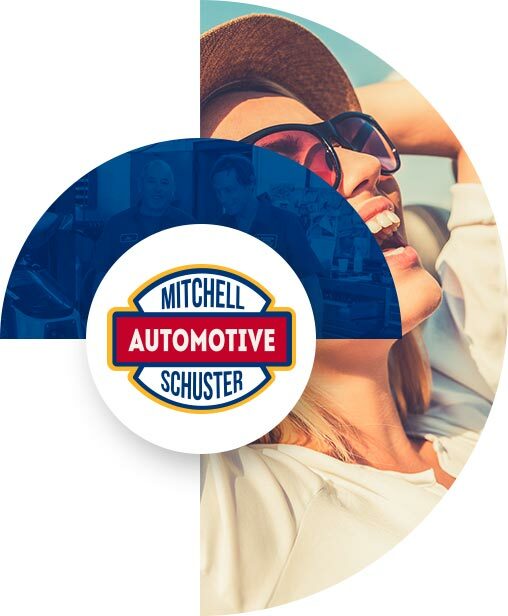 At Mitchell-Schuster Automotive, our team is dedicated to complete, quality auto repairs and service. Our shop is equipped with state-of-the-art computer diagnostic technologies to help us do just that. We Strongly believe friendly service and a commitment to customer satisfaction is why we have been in business for over 35 years. Give us a call or schedule an appointment today! Foreign, Domestic, Classic, Boat, Jet-ski, Motorcycle, Scooter, Small Engine, or Lawn equipment Mitchell-Schuster has your back! The NAPA Peace of Mind Nationwide Limited Repair Warranty covers parts and labor on qualifying* automotive repairs for 24 months or 24,000 miles, whichever comes first. Mitchell-Schuster Automotive can perform your manufacturer required scheduled maintenance AND maintain your new car warranty. Whether you need an oil change, need your entire transmission replaced, or have an electrical problem that is driving you crazy, Mitchell-Schuster Automotive is your one stop automobile repair and service shop.